San Antonio is a picturesque city in south-west Texas boasting more than 1.3 million inhabitants. It is the seventh largest city in the United States. Famous for its historic Spanish landmarks including the Alamo, and its beautiful river walk, San Antonio is an important convention and conference center and tourist destination. It is also home to several large and successful insurance companies. The San Antonio Indemnity Company is one such company. 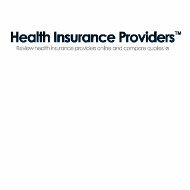 For free up-to-date health insurance quotes in your area, enter your zip code here! San Antonio Indemnity is actually a division of Quirk & Company, a company devoted to serving the needs of independent insurance agents not only in south Texas but also throughout the United States. Quirk has branch offices in Austin, Texas and the northeastern and northwestern US. Based in the San Antonio area since 1930, Quirk & Company is a family owned business guided in the 21st century by its CEO, Robert Quirk. Quirk & Company provides brokerage and underwriting services to independent agents. Two partner companies, Mission Claims and Mission Premium Finance provide additional claims and financial services. Quirk also operates the San Antonio Reinsurance Company. Coincidentally, this is the same address listed for the Quirk & Company headquarters. A.M. Best recently downgraded its ratings for San Antonio Indemnity to B+, good, for financial strength. The San Antonio Indemnity credit rating was also downgraded to bbb- , with the overall outlook stated to be negative. As mentioned earlier in this article, Quirk & Company contracts with independent insurance agencies to provide underwriting, claims and financing, and other brokerage services. Claims services, through the Mission Claims division, are available throughout the state of Texas. Rates are competitive and Mission uses the latest technology to provide fast and efficient service. Quirk also specializes in the placement of professional liability and risk coverage for medical practitioners (errors and omissions insurance), corporate officers, and directors.